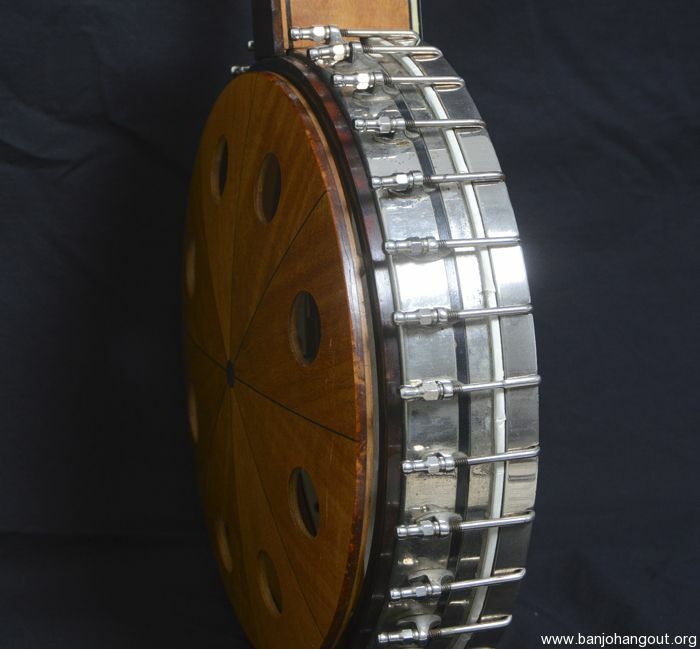 Here we have an extremely rare and perhaps one-of-a-kind Vega tubaphone banjo with several unique features. 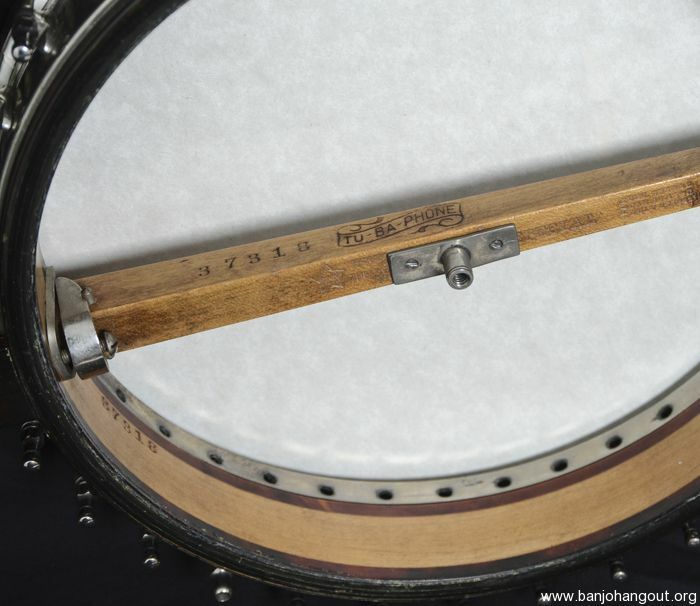 Apparently, in 1915, Homer Chalet Garber, "the marvel of the banjo world" from Des Moines, Iowa, ordered a custom 5-string tubaphone banjo from the Vega Company in Boston. Vega complied and presented him with this unique beauty. 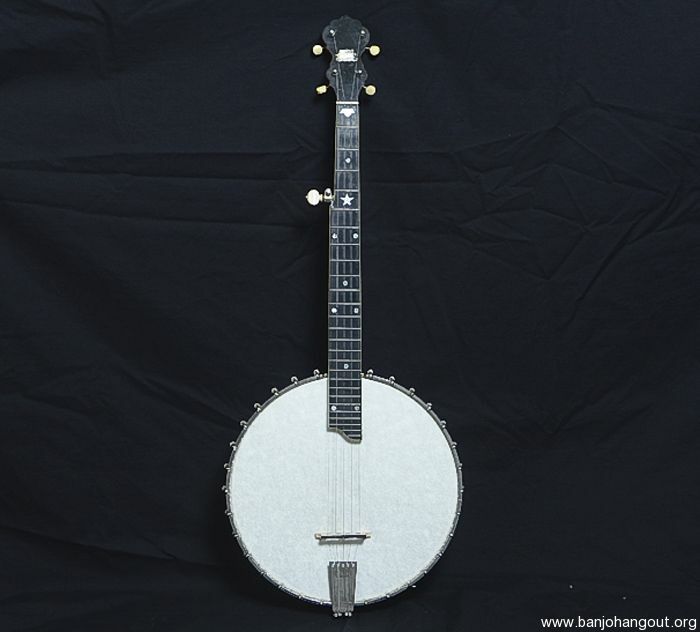 The total length of this banjo is a mere 33” with a delightfully short and comfortable 23” scale. One would think that with this scale length that the size of the rim would be small as well. Not so, as this instruments has a 12.5” rim that produces boat loads of volume and tone, especially for such a comfortable-to-hold instrument. 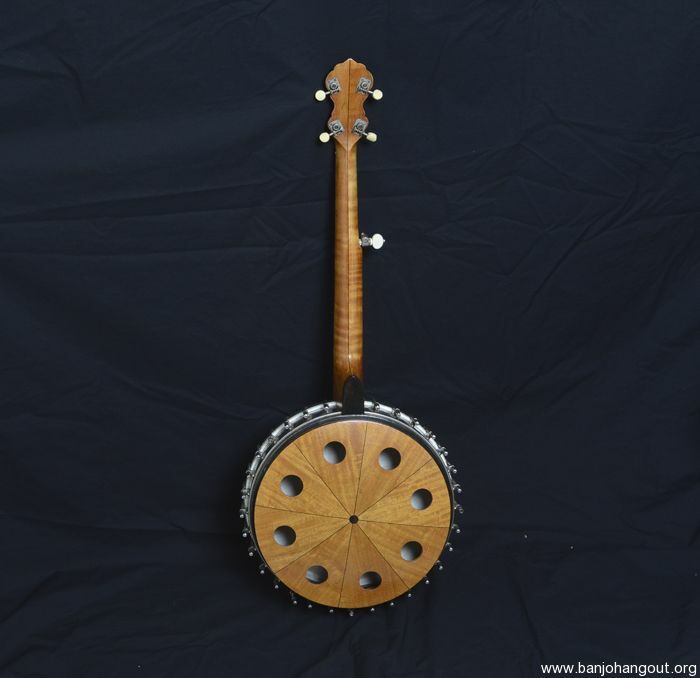 The decorative aspects are in keeping with the Tubaphone style 3, with its combination of stars and pearl dot inlays. 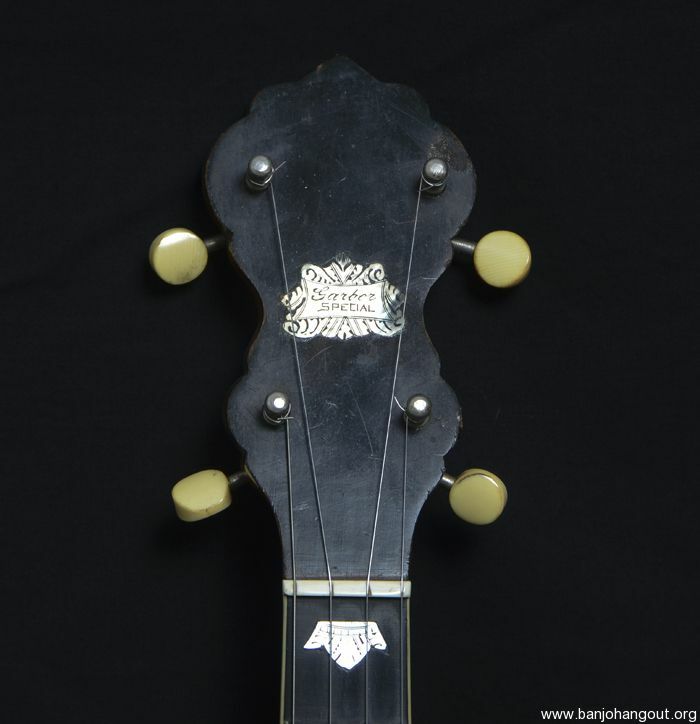 The peghead has a unique personalized inlay featuring the engraved logo “Garber Special”. This instrument is in beautiful original condition, with nice low action and only minimal fret wear on the first two frets and nowhere else. The peg head sports unusual early geared side tuners and the 5th-string peg has been upgraded to a geared tuner. A newer custom hard case has been provided.